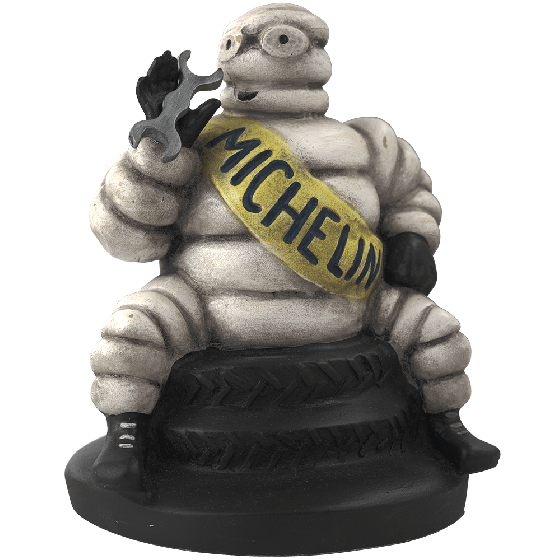 The second addition to the Bibendum Collector's Series is a unique pose familiar to Michelin enthusiasts “Sitting Mr. Bib”. 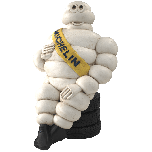 This Bib (the Michelin Man) Michelin Figure was originally found atop the small Michelin air compressors of the 20s and 30s. 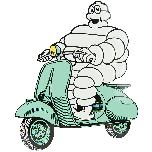 In this rare design, he has been modified to sit on a stack of tires and proudly holds a wrench proclaiming his love for all things automotive. 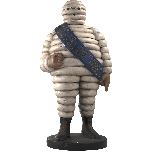 This unique poly-resin Michelin Man Figure is 8 1/4"" tall by 6 1/2"" wide. 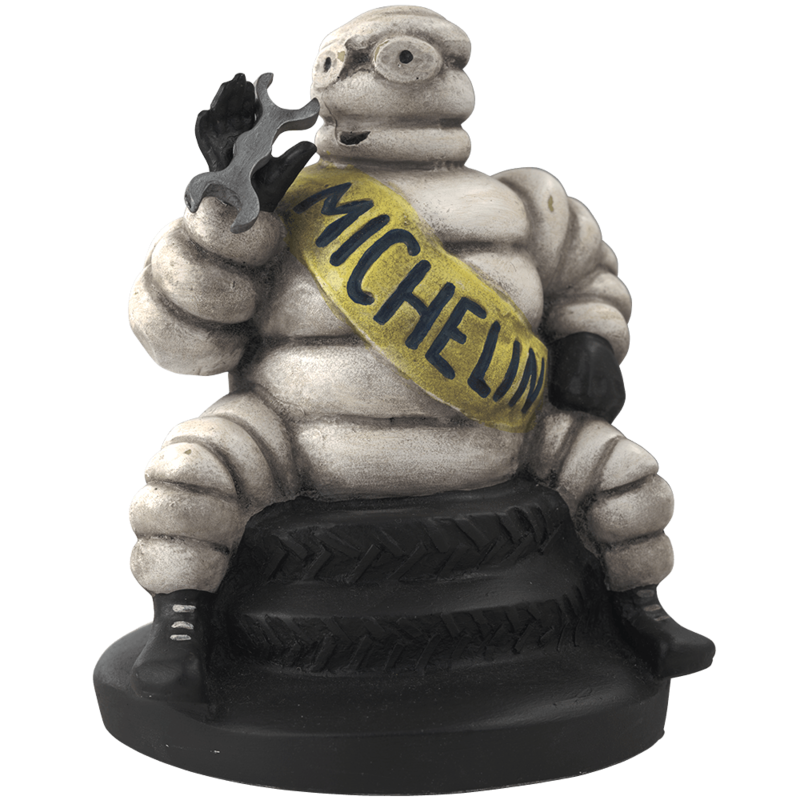 Made in the USA, it is a real conversation starter for the collector or will add a touch of nostalgia to any Michelin dealer's counter top.